Effective for tax year 2014, and going forward,the IRS has issued new regulations on the treatment of improvements to real and personal property that may drastically affect many real estate developers’ and investors’ current tax accounting methods. The regulations include a betterment, adaptation and restoration test for determining whether a tangible property expenditure has to be capitalized. The IRS also has finalized regulations and issued guidance for partial dispositions and general asset accounts. The ability to make a partial disposition or include certain real estate in a general asset account could offer tax savings opportunities for investors and developers. So, for example, if you replaced a 20-year-old roof in 2014 that was being depreciated over 39 years, you can now expense the undepreciated balance of the old roof in 2014. Whereas in the past, the rules required you to continue to depreciate the old roof even though it was out of service. Rev. Proc. 2014-54 extends the ability to make a late partial disposition election by filing an automatic accounting method change to tax years beginning before January 1, 2015. 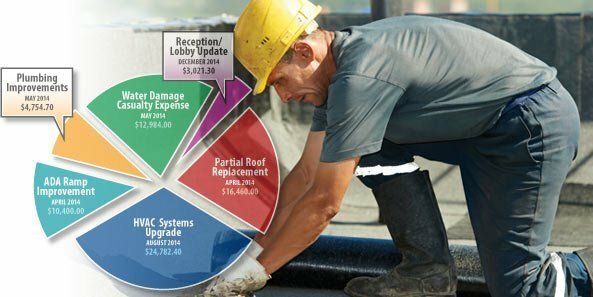 Taxpayers should analyze capitalized repairs and improvements to determine if they would benefit from making a late partial disposition election. In light of a new provision contained within the final regulations, taxpayers should consider placing a building in a GAA if they plan to purchase and demolish a building in the future. If a building is not placed into a GAA and demolished, the remaining basis in the building is capitalized into the land and not depreciated. If the building is placed into a GAA, the building would continue to be depreciated until the building is disposed or fully depreciated. Also, a fiscal-year taxpayer may be eligible to make a late GAA election under the temporary regulations. Consult your tax advisor before placing an asset in a GAA, as there are potential disadvantages of making the election. The final regulations offer taxpayers opportunities to accelerate or defer tax deductions. It is important to analyze the regulations as they apply to your specific facts and circumstances. To learn more about how these regulations could affect your business, contact your tax advisor. This article is for general information purposes only and is not to be considered as legal advice. This information was written by qualified, experienced BKD professionals, but applying this information to your particular situation requires careful consideration of your specific facts and circumstances. Consult your advisor or legal counsel before acting on any matter covered in this update.